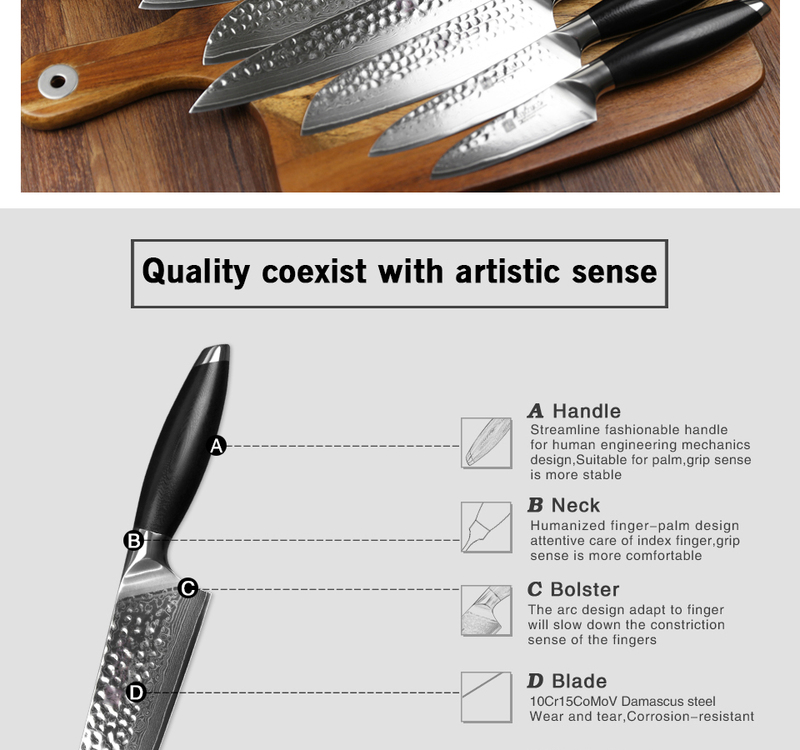 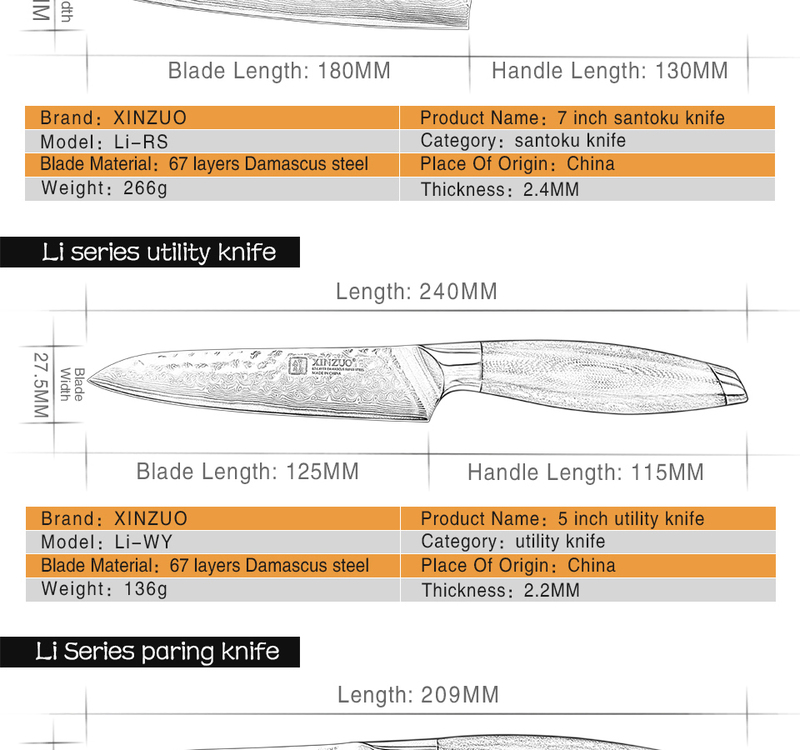 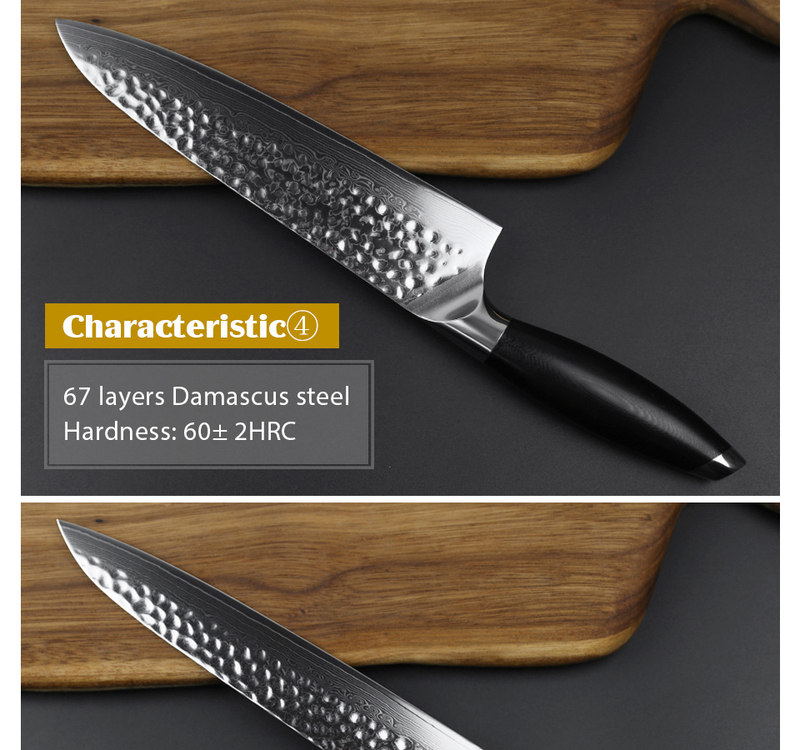 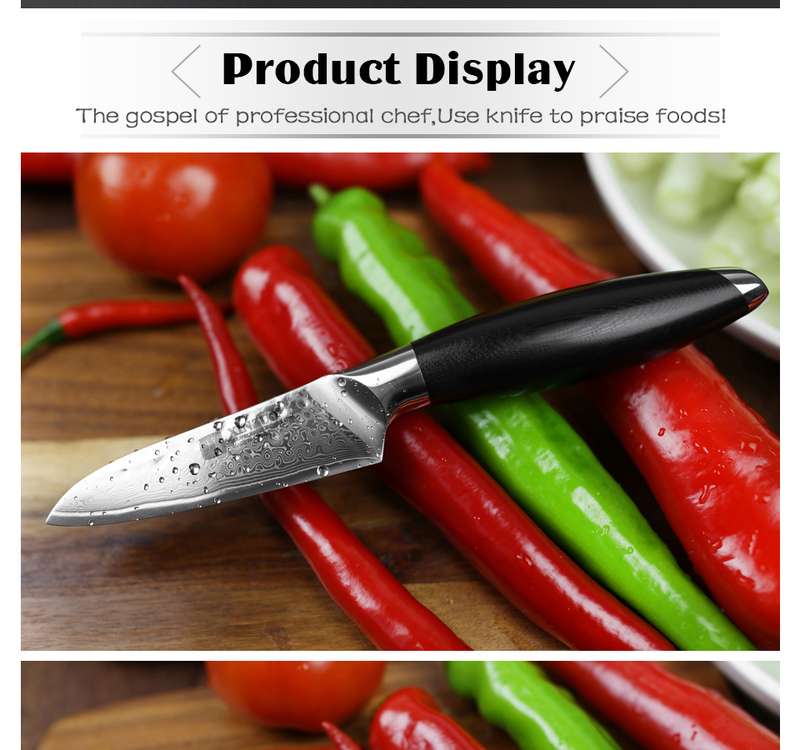 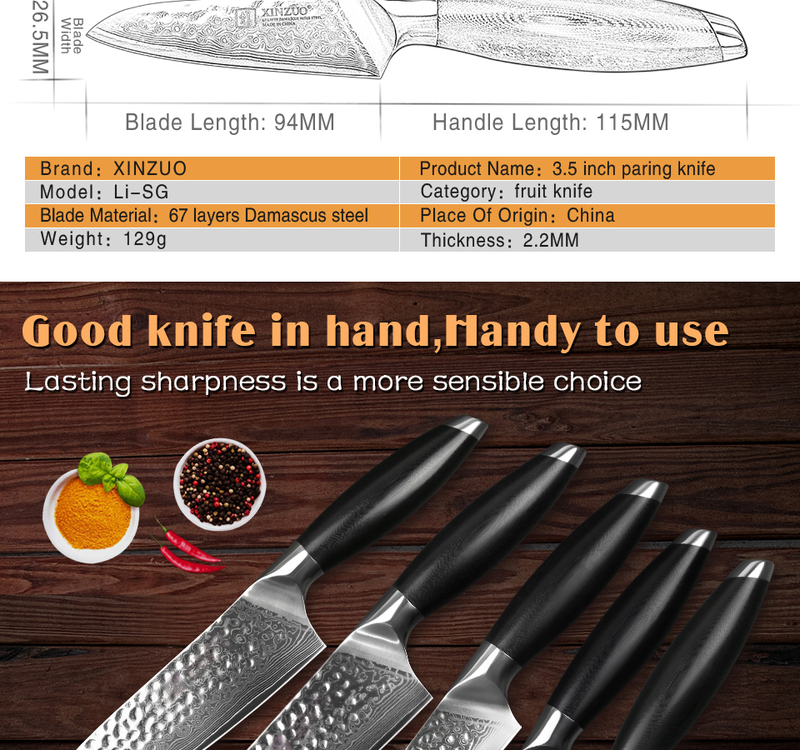 Description: 3.5 inches fruit knife. 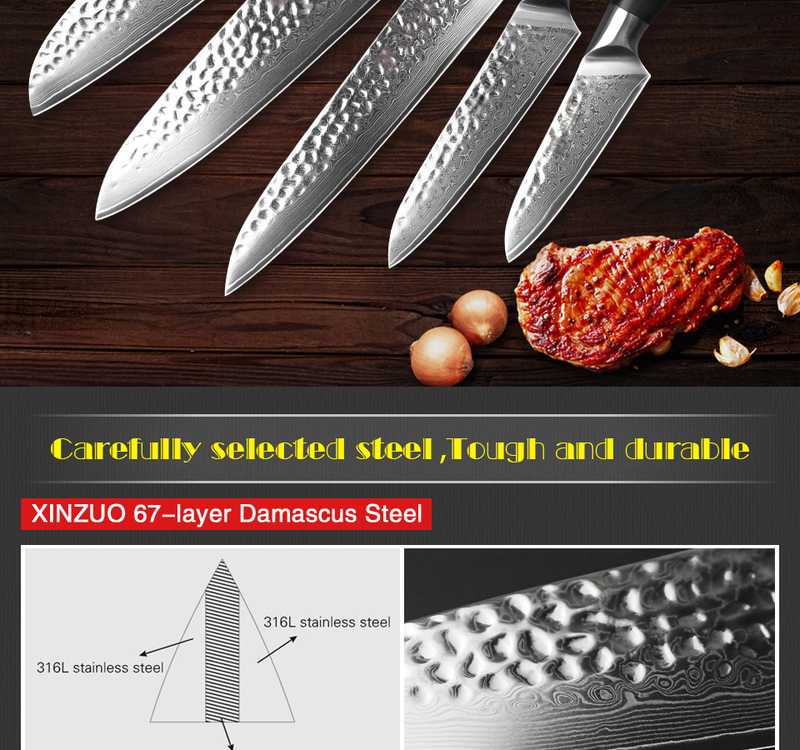 Material: 67 layers Damascus steel & 10Cr15CoMoV steel core. 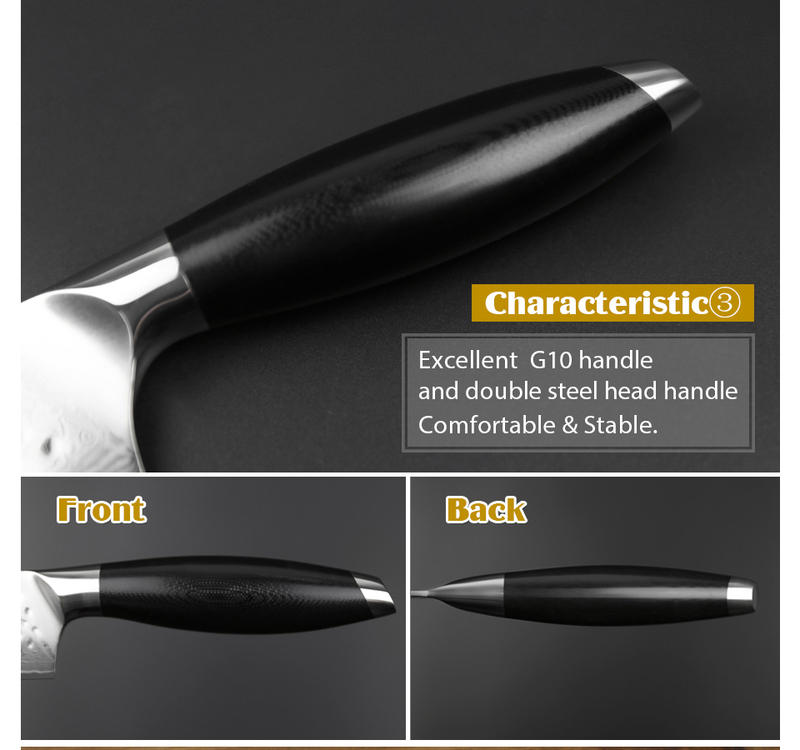 Handle: The handle is made of high quality G10, surface is polishing treatment, natural, environmental, healthy. 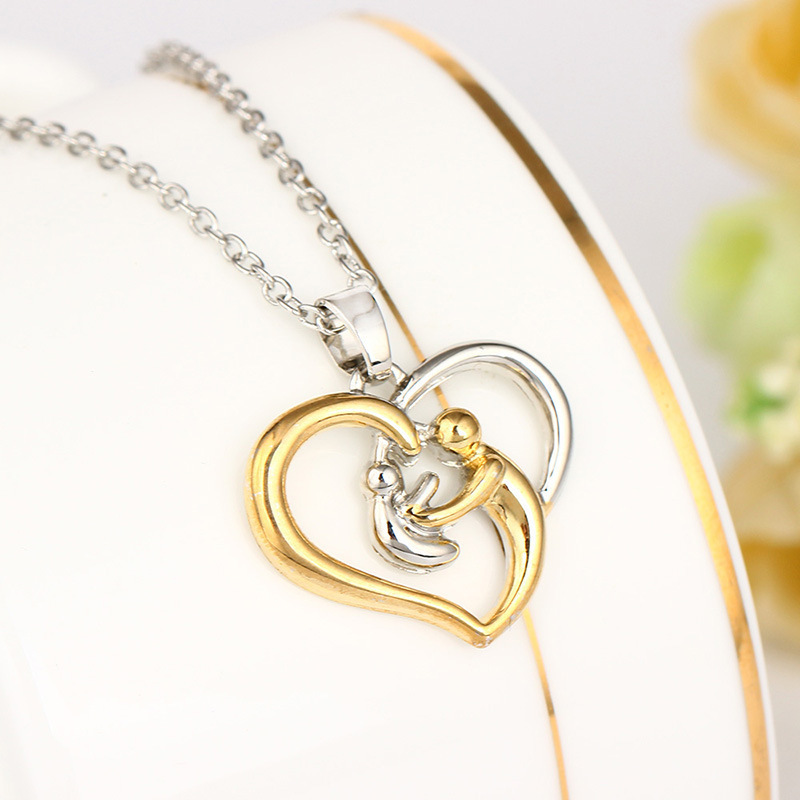 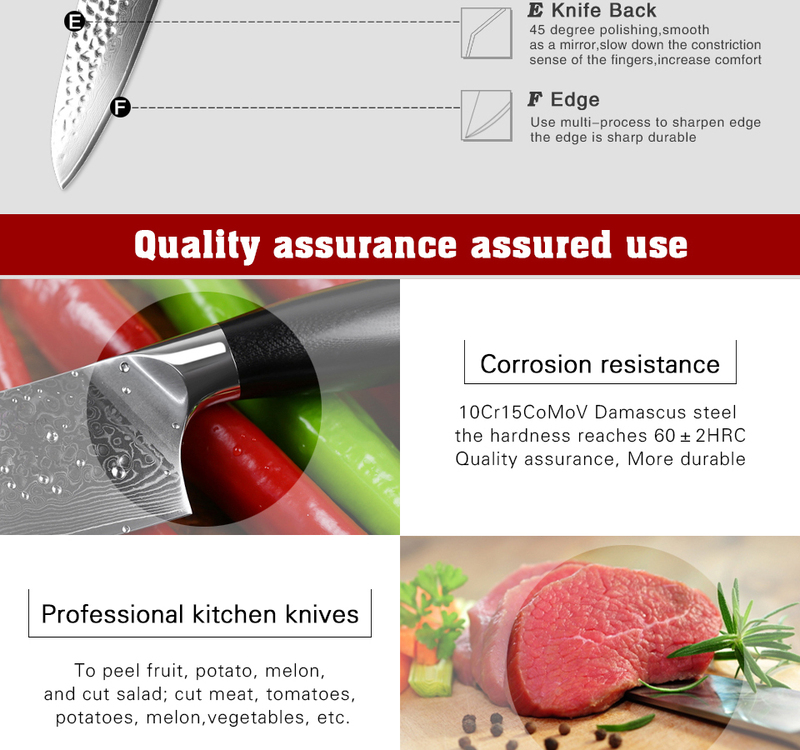 Characteristics: sharp and durable; Super anti rust; Light energy. 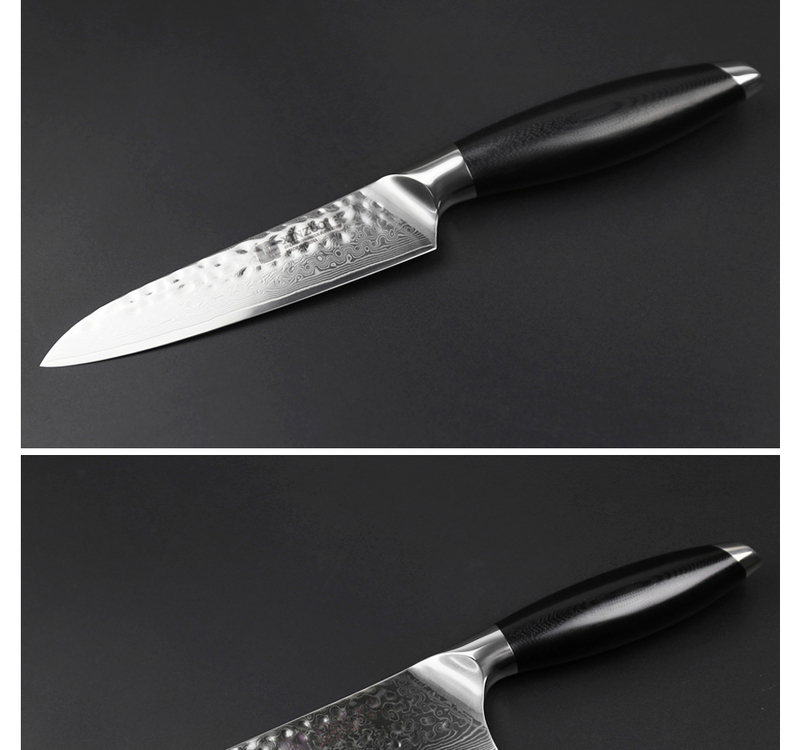 craft: optical lens processing forging process. 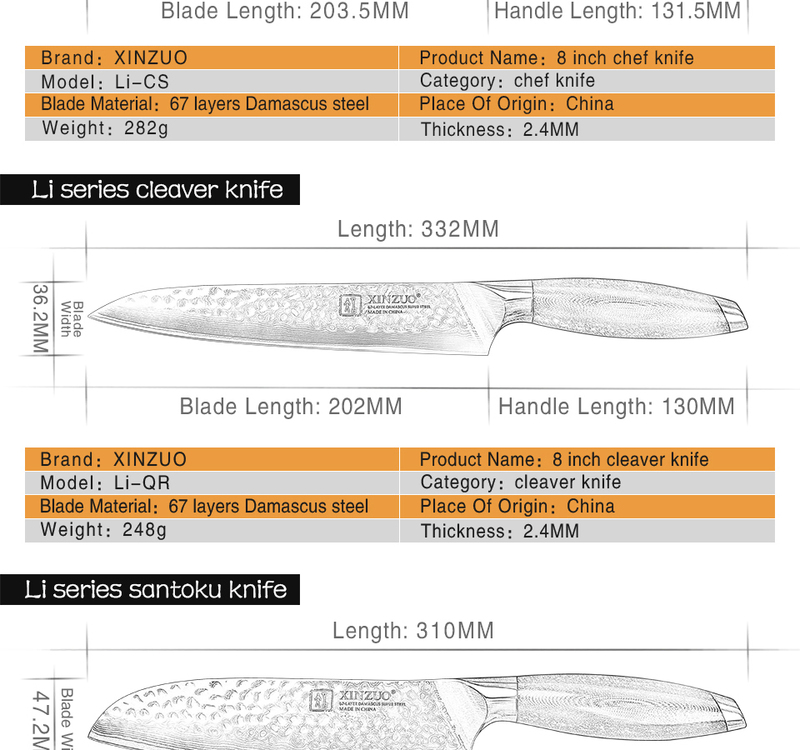 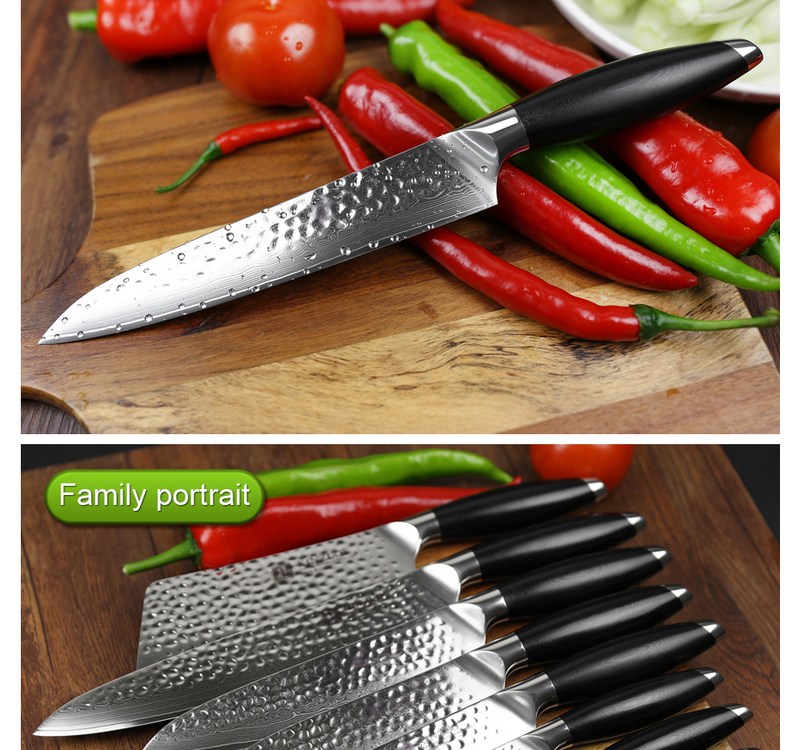 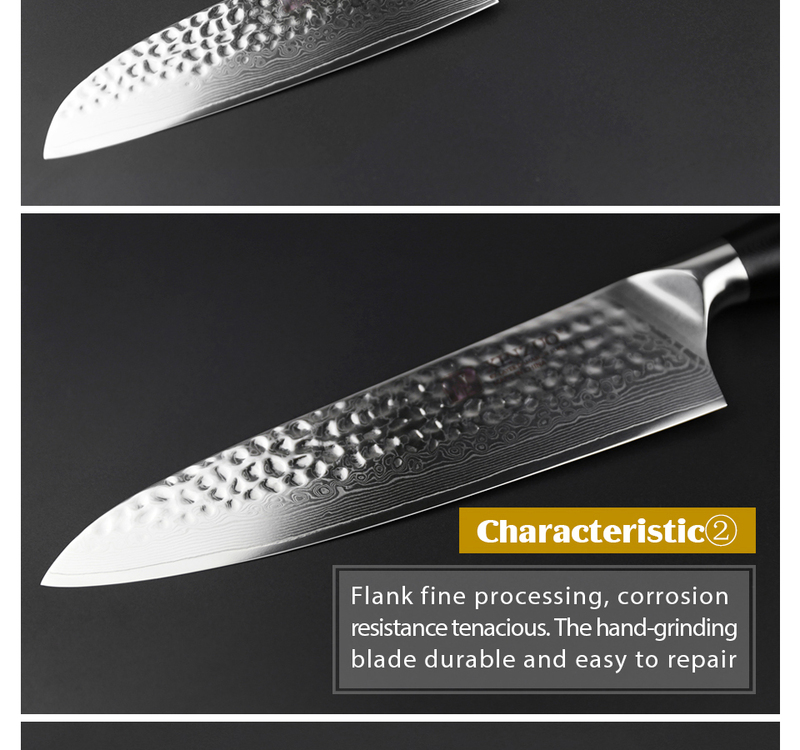 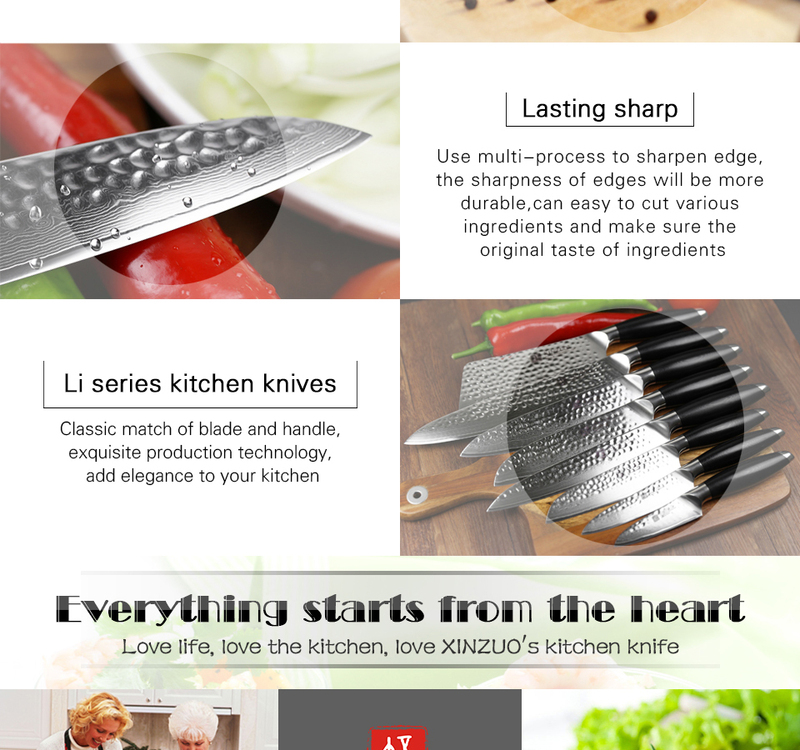 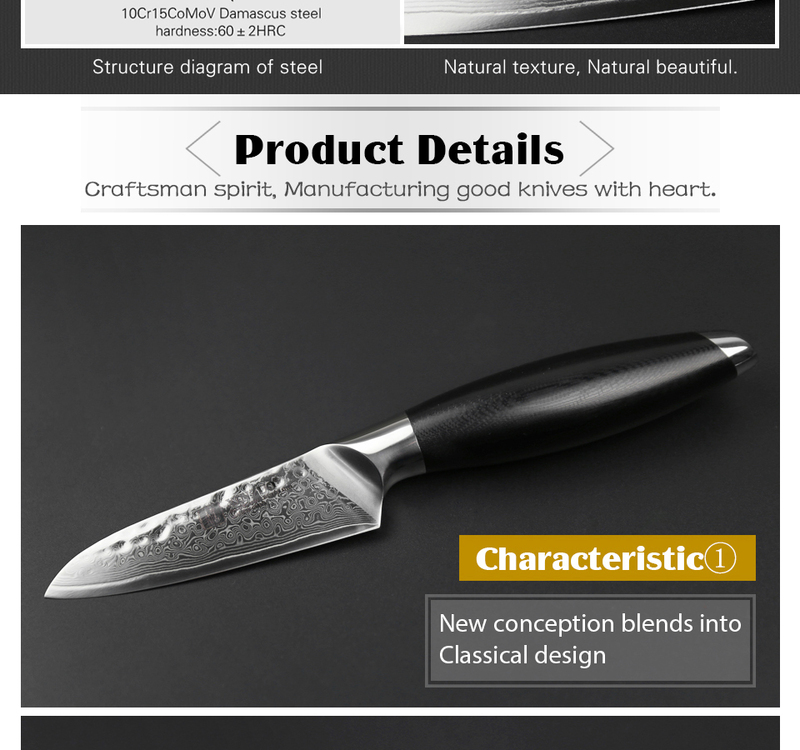 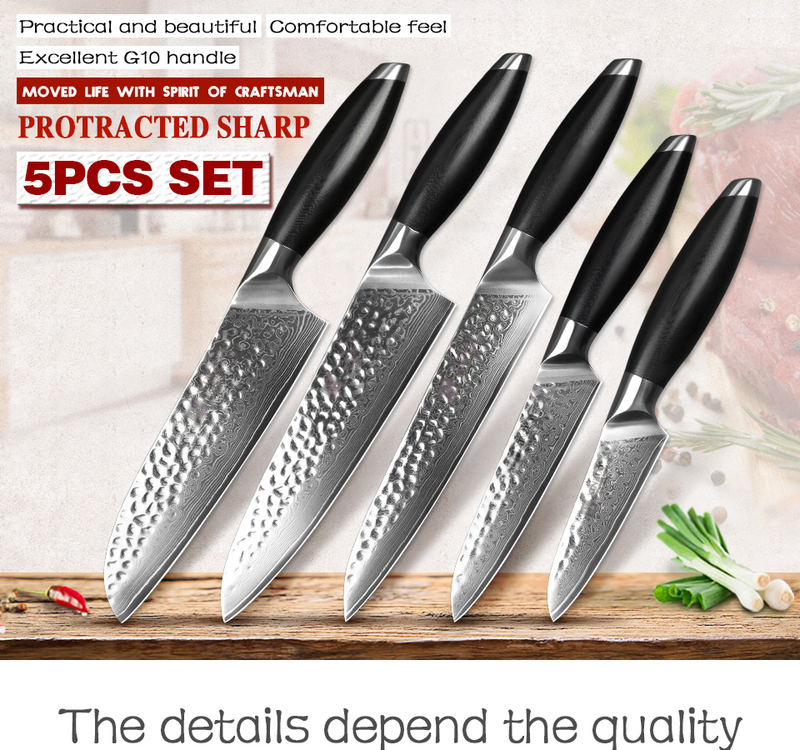 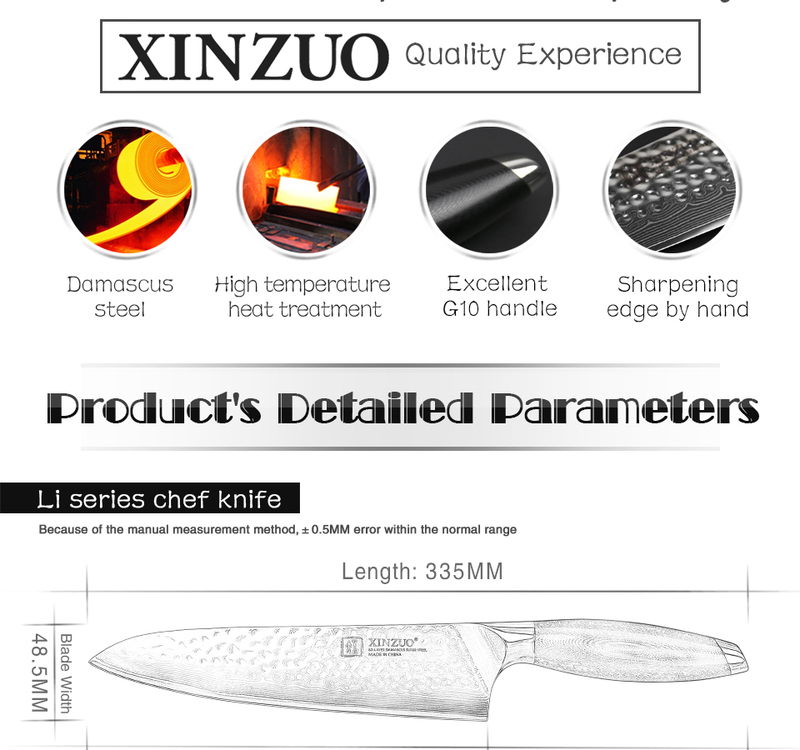 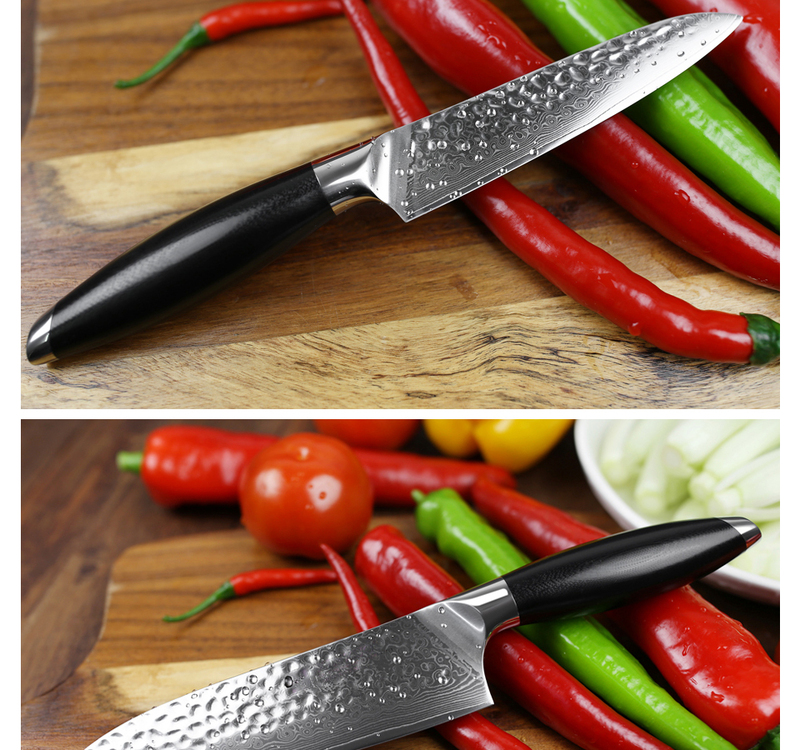 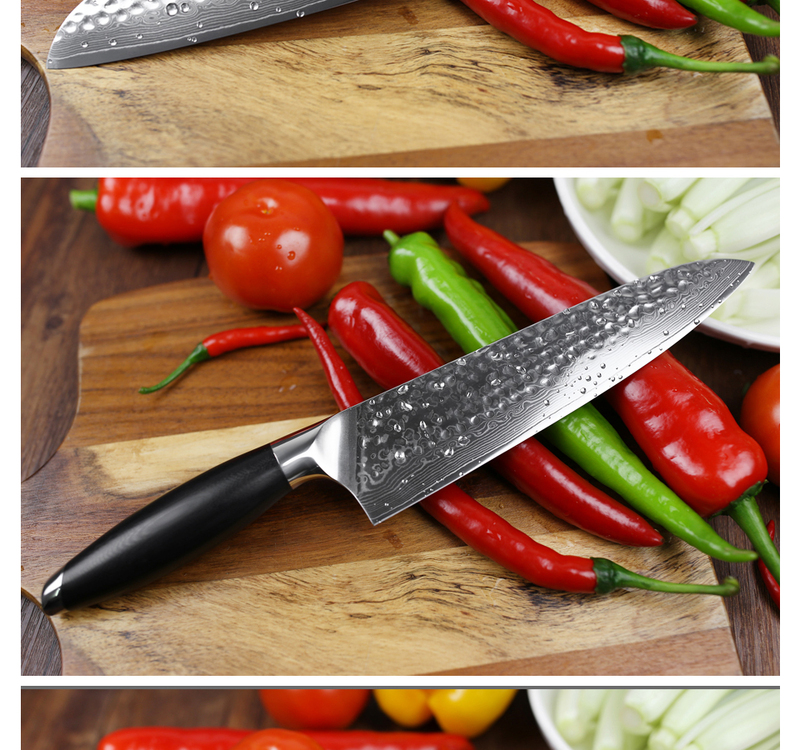 Characteristics: sharp and durable; Healthy environmental protection; Light energy, it is best to the chef. 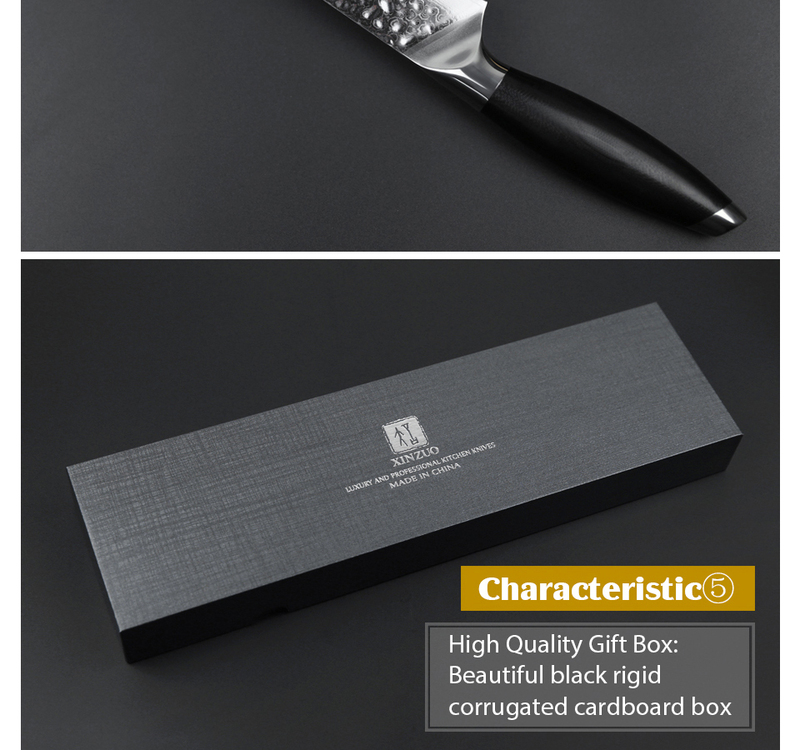 Packing: gift box by hand, black corrugated cardboard (shockproof, pressure defense, mouldproof).